Well sometimes cars just aren't exciting enough. Especially for your little one. Maybe cars are just old news. Your kid sees them and ride in them everyday, after all. It's not like they go particularly fast or anything. And cars are even limited to the road they're on, so that's lame. Maybe your kid has started to look skyward. That would be fun to ride through. No roads, no signs, just wide open space. Space That would be even better! Nothing but open galaxies forever! Superb. Not to mention the transport up there. Can you say "rocket"? Because we can! And we imagine rockets would appeal to your kid too. Rockets that go faster than anything else with giant explosions and fire! Of course your kid likes them. Well then, they want to travel off into endless space with a rocket? Sounds like you have a budding astronaut on your hands. Which of course means endless hours of rocket piloting practice in the backyard, and low-gravity jaunts through the living room. 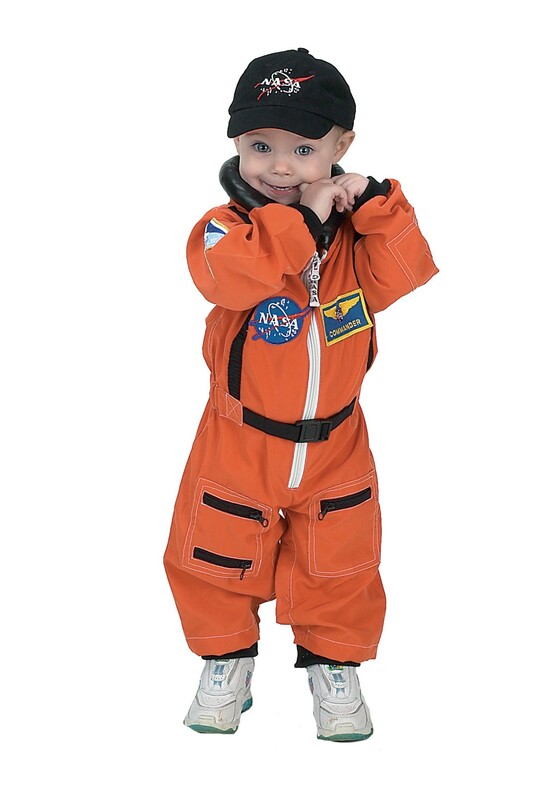 You should also consider getting them a proper spacesuit, like this Toddler Orange Astronaut Romper Costume. It's a little orange jumpsuit with a zipper up the front. There's ribbed cuffs, a padded collar, and lots of patches and cargo pockets. They'll look exactly like a miniature astronaut when they go flying across the backyard. Just make sure they don't crash-land on the fence. That hurts. We speak from experience.